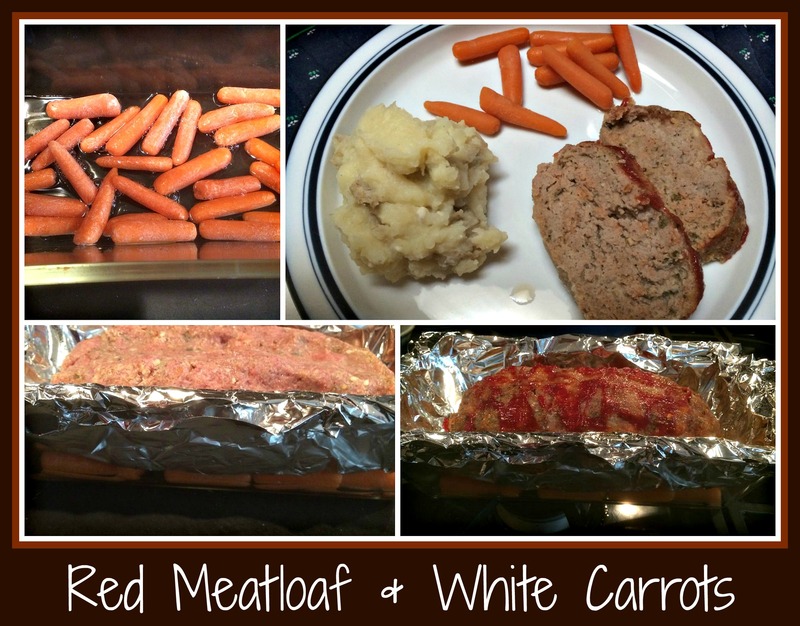 I promised to have this recipe posted today, so please forgive my tardiness. 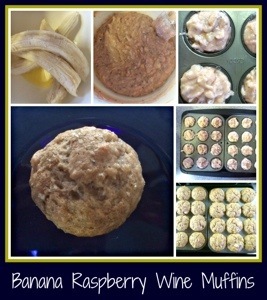 Here’s a yummy way to use up some of those browning bananas that we all seem to have from time to time. This recipe is loosely based on one that I found on a Food TV recipe app, but their recipe called for a few ingredients that I either didn’t have or didn’t want to use. I hope you’ll try it and see what works best for you. I loved the lightly pale pink color but if you want to make them a touch more vibrant, I would suggest using some extra food coloring. The taste was delicate… nothing was exceptionally strong (other than the banana), so it would be a fun addition to a luncheon or “afternoon tea” sort of thing. I thought they were terrific… and since it started with a ‘real” recipe, you’re going to get it in “real” recipe form, complete with exact ingredients. Score! Spoon into 24 mini-muffin tins and bake in pre-heated 350 degree oven for 20-25 minutes. I like to add a little sanding or raw sugar on top for decoration, but it’s not necessary. I shared these with some random people at a recent event and they were highly complimentary of the taste and texture. You can make these into 12 individual muffins, if you prefer, but this full recipe made a perfect set of 24 mini-muffins. Great for sharing and just enough of a snack at only 102 calories per mini-muffin… yes? Enjoy! I love using my crock pot. Having a slow cooker can help you make a lovely, healthy meal any night of the week. All it takes is a little thought beforehand and a few minutes in the morning before you leave the house (or start working from home). This was a recipe that I thought looked particularly yummy, but the ingredients needed to be changed out before I could make it for my family. I know that they balk at large pieces of mushroom or the texture of artichoke hearts, so I did some substituting and came up with a version that worked well for me. 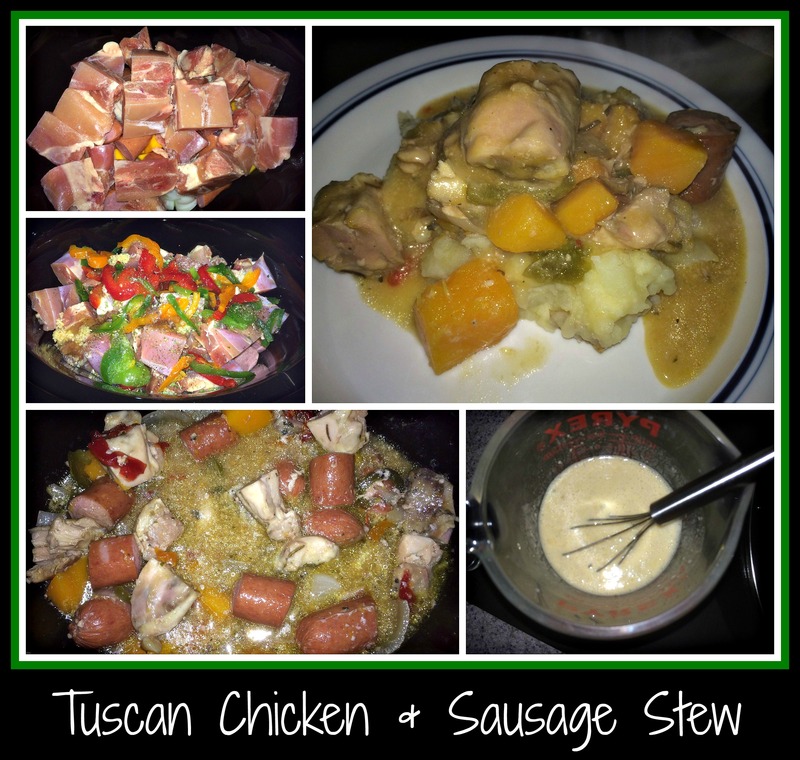 Since I started with an actual recipe (thanks to Weight Watchers for the inspiration) so the ingredients are much more accurate that I typically offer on my blog. I used “The Force” for this recipe, but vaulted from the actual recipe, so I’ll be kind today and share it with you that way. In true “not originally mine” style, here are the steps to follow when you make this recipe, using the ingredients I’ve used in my own swap. Chop onion and butternut squash into chunks – place on the bottom of a crock pot. Layer peppers (in a variety of colors) on top of meats, then top with spices. 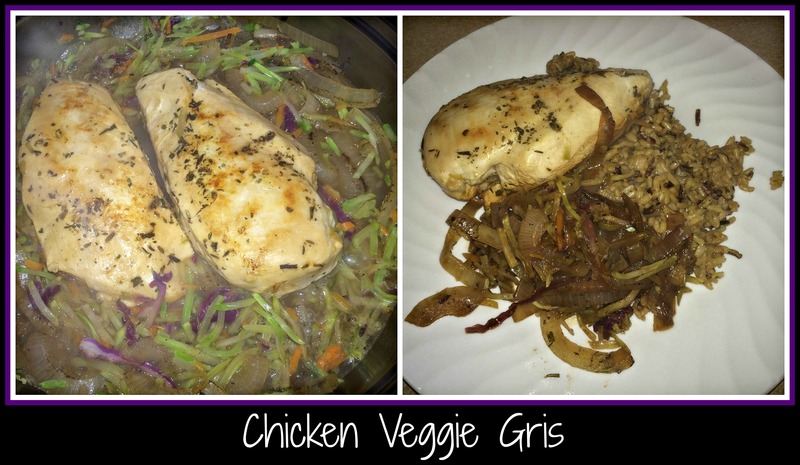 Cover and cook until chicken is tender and vegetables are cooked through, 4-5 hours on high or 8-10 hours on low. If you want to thicken the broth at the end, whisk 2T of cornstarch with some of the cooking liquid (in a separate cup) until there are no lumps, then return it to the pot and allow the broth to thicken. Serve over polenta (which my family doesn’t like) or mashed potatoes (which my family *does* like). I’ve been trying to be better about using a “recipe builder” application (for my iPad) so that I know the actual nutrition analysis of my recipes. I got a FitBit Flex from my husband for Christmas this year, so I’m coupling that with the (free) MyFitnessPal app to get a better handle on my own health. To that end, I’m working to make better choices with regards to the foods that I make. This stew actually makes six servings, with the following nutritional information: Calories 302, Total Fat 14g, Saturated 3.9g, Polyunsat. 2.9g, Monounsat. 5.4g, Cholesterol 80mg, Sodium 903mg, Total Carbs 16g, Dietary Fiber 2.5g, Sugar 2.8g, Protein 25g, Vitamin A 129mcg, Vitamin C 20mg, Calcium 51mg, and Iron 3.3mg. I hope you’ll consider playing around with this recipe. I really loved it, and had it for the next few meals before it was gone. At only 302 calories, it seemed reasonable and tasty at the same time. Enjoy!